Going to the gym is already enough of a drag without factoring in traffic, parking and the inevitable New Year's crowds hogging the machines — if your objective is to be your fittest, healthiest self without all the obstacles in the way, then skip the gym and work out using this OYO Personal Gym SE instead. You can use it anywhere: your home, your office or even your hotel room when you travel. The OYO Personal Gym SE 15 was made using the same technology used to keep astronauts fit on the ISS. It's a compact total body gym that you can pack up and take with you anywhere — it only weighs two pounds, but don't let the lack of bulkiness fool you: it still produces 15 pounds of resistance that work to tone your muscles across 39 inches of extension. The patented DoubleFlex activation works to provide resistance to the opposite sides of your various muscle groups for the most effective workout that also helps you build balanced strength. Once you increase your personal fitness levels to the point where you want more, you can snap on the included FlexPacks for up to 15 pounds of additional resistance. You can easily unfold it and work out anywhere, making it that much easier to get healthy this year. 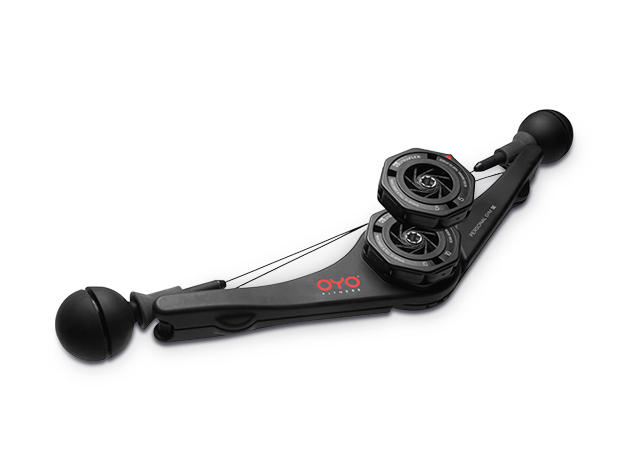 Usually, this OYO Personal Gym SE is $99.95, but you can get it here for $73.